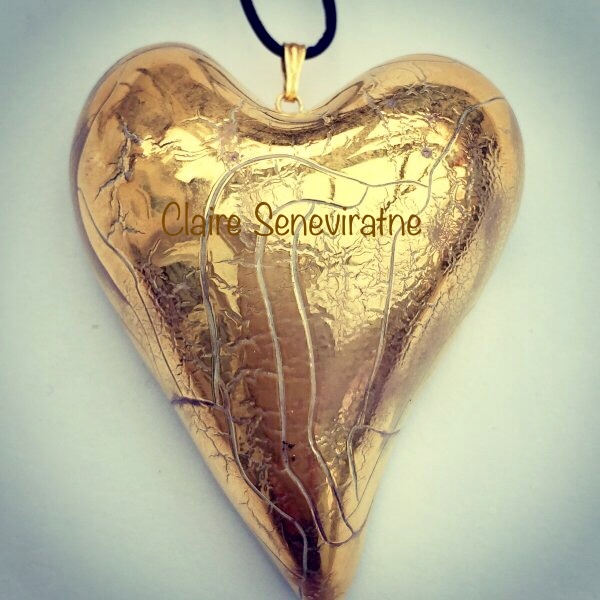 Claire Seneviratne - Ceramic Artist: Large gold lustre heart pendant. Large gold lustre heart pendant. This unique gold lustre heart pendant has beautiful textured surfaces markings where the lustre has reacted with the glaze. It is attached to a fully adjustable leather thong which is 84cm in length.